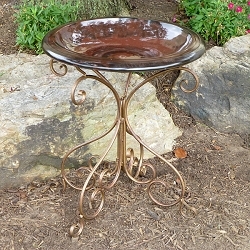 Elegance and function for your garden landscape! 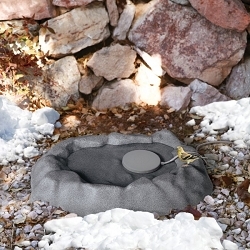 The strength of concrete, looks great, superior durability at an affordable price! 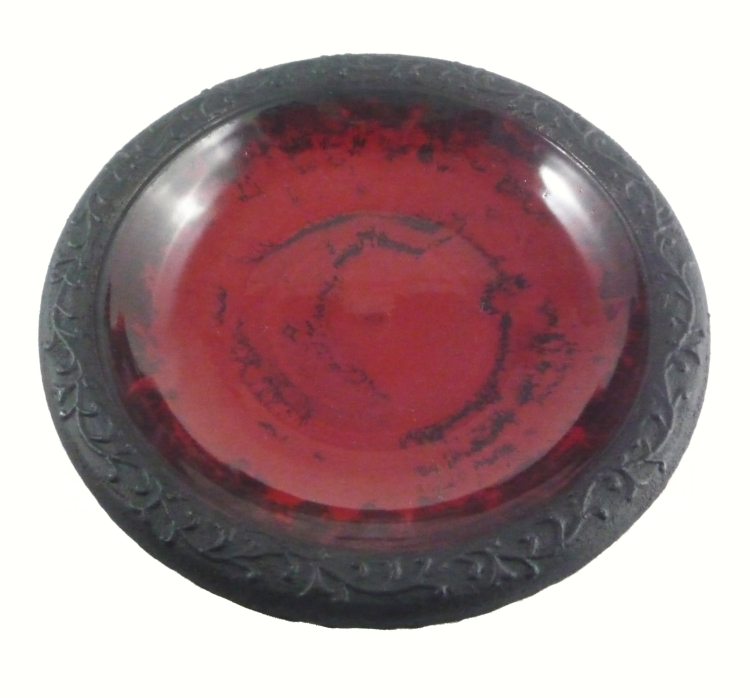 Tierra Garden Red Gloss Birdbath Bowl w/Matte Rim - This Fiber Clay Birdbath bowl is unlike anything you've ever seen! 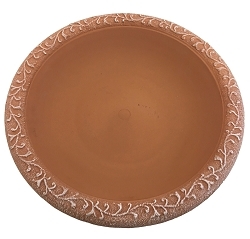 Because it is constructed of clay with plastic and fiber mixed in, you will be pleasantly surprised to find this bowl is actually light weight and durable. 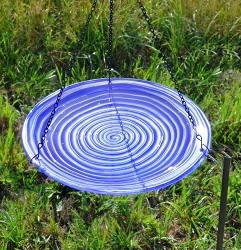 Add elegance and function to any garden with ease. 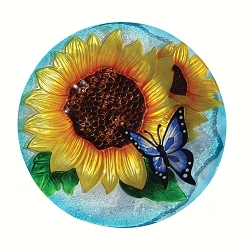 Shatter-resistant and even fares well even in extreme temperatures. 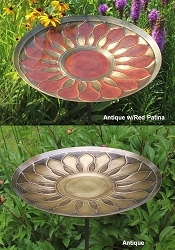 Smooth semi-gloss finish on bowl provides UV protection as well as easy clean-up and reduce staining. Rim is matte finish with etched detail for a unique and classy look. 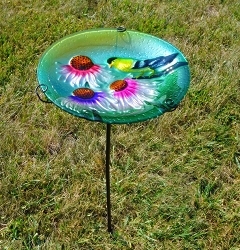 The perfect gift for the bird lover on your list! 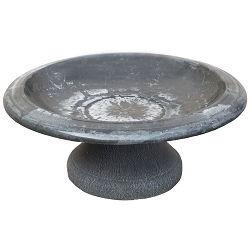 Pair this birdbath bowl with our deluxe metal base or laser cut metal base sold separately, use on your own stand, or place directly into your landscaping. 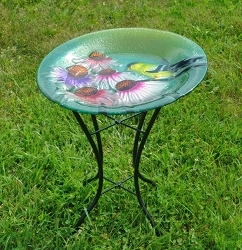 Dimensions: 20"L x 20"W x 3.5"H; Weight 6 lbs.